Mexico, October 12th – Since the Big Bang was created in 2005, Hublot and Mexico have joined in celebrating the dates, symbols and events which have marked the country’s history and its passion for sport, particularly football. 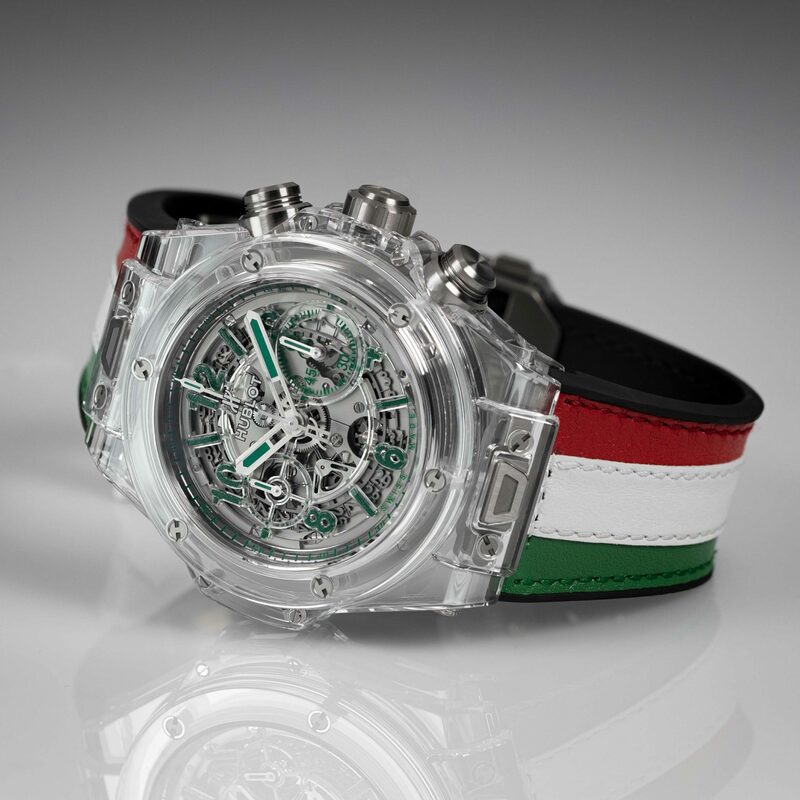 Hublot shares the Mexicans’ love of football – the watchmaking brand was the Partner of the Mexican Football Federation. 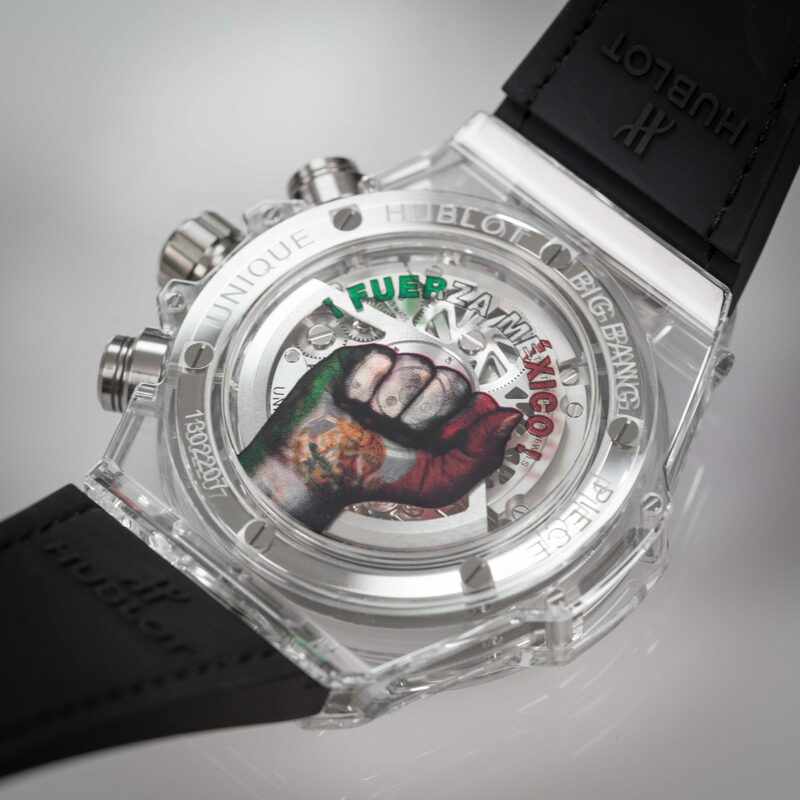 Hublot also celebrated the 200th anniversary of Mexico’s independence in 2010 with a model stamped with the iconic “Bell of Dolores”; it also paid tribute to the Grand Prix’s return to Mexico in 2015. 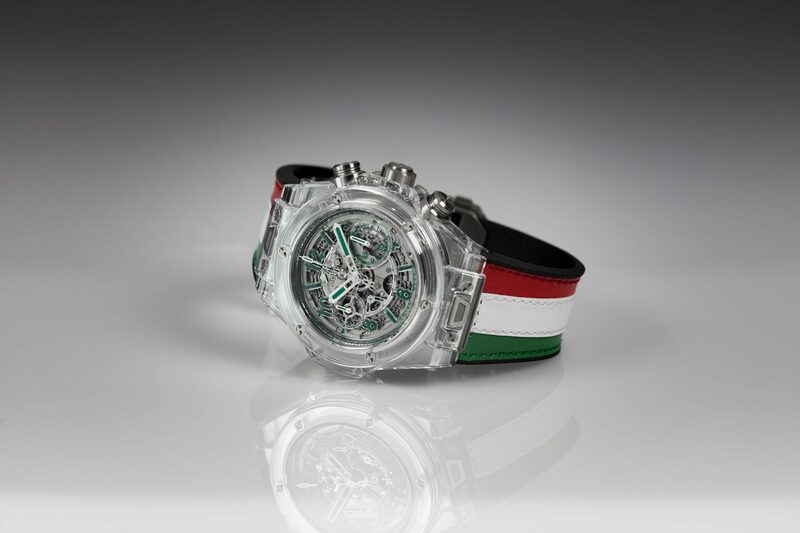 Today Hublot is supporting Mexico by showing its solidarity and encouraging its citizens to be strong by launching a Big Bang Unico Sapphire “Fuerza Mexico”; this is a unique piece from which all the proceeds will go to the Red Cross supporting the victims of the earthquake. The sapphire crystal on the back of the timepiece features a raised fist in the three colors of the Mexican flag – a symbol of courage, solidarity and inner strength. This strength is also expressed in the material chosen for the watch – sapphire, one of the most difficult materials to machine. A material which is almost as hard and scratch-resistant as diamond (9 on the Mohs hardness scale as opposed to 10 for diamond). The case middle, bezel and back of the Big Bang Unico Sapphire “Fuerza Mexico” are cut from blocks of sapphire; only a few parts, such as the screws, the crown (which is overmolded with silicone) and the deployant buckle are made from titanium. Its skeleton dial, made from transparent resin, reveals the heart of the proprietary Unico HUB1242 movement and its finishes. 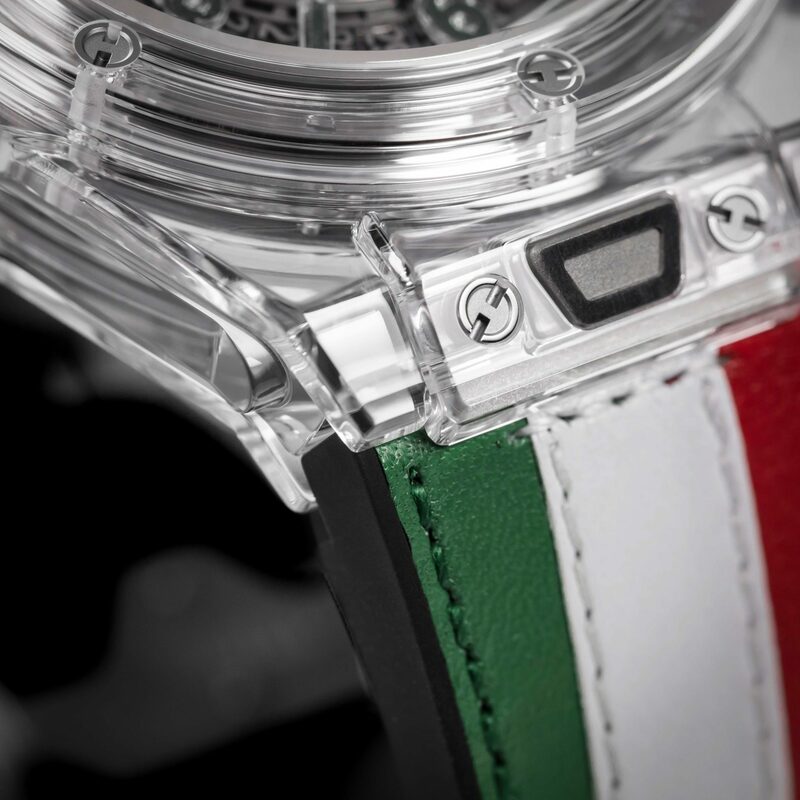 With its tricolor livery, the leather strap stitched onto rubber picks up the colors of the Mexican flag.